Just click on the project you wish to view in our portfolio for a detailed look. 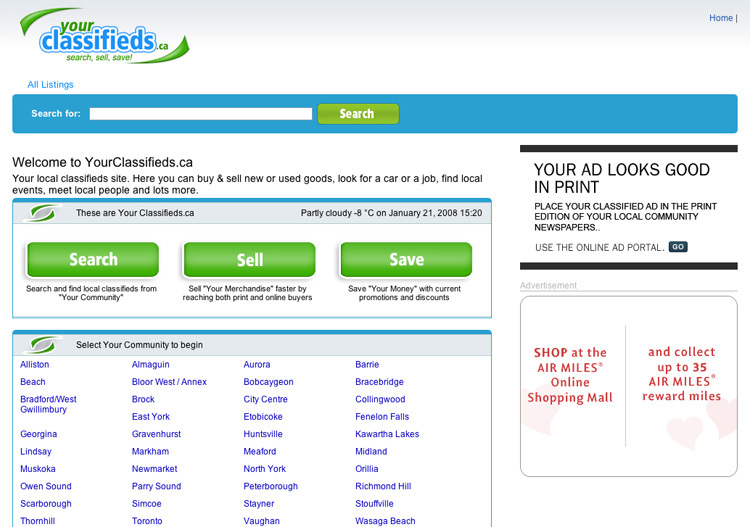 Your Classifieds is a Generalist Classified solution that was developed for Metroland Media Group a subsiderary of the Toronto Star. Corrosive Studio was involved with all initial site development. The site uses the Symfony MVC PHP5 framework. Corrosive Studio designed, architected and developed a number of key components as well as trained others in the use of the Symfony framework and the Your Classifieds application. Floosh is an internal project solely owned and opperated by Corrosive Studio. It implements numerous features of Web 2.0 including google maps, geolocation, and ajax. Floosh was built using the Cake PHP framework. All data on the Floosh site is either community generated, or the system can automatically collect information off the Internet. 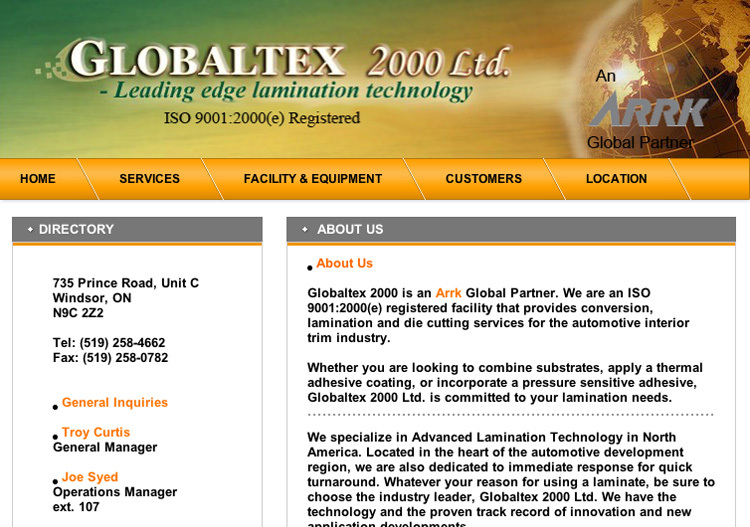 Globaltex 2000 was a redesign and rebranding of their previous site. Corrosive Studio was involved in all aspects of the site including design, content production, copyrighting, search engine optimization and implementation. A Key Strategy to Making Your Website Work Hard for You! A good website is one of the best and most affordable types of advertising any business can have. But if your customers can't find you… what's the point?